The 1.5V AA IKEA Alkalisk Alkaline batteries are performing quite well in our tests all the way up to the 0.5A constant current load, after which the usable capacity shows a larger drop. The capacity levels are above average for these IEKA batteries, but are far from the top performers in our tests. Still the 1.5V AA IKEA Alkalisk alkaline batteries do manage to provide a very good price/performance ratio for everyday use without having some more specific requirements. We have picked up a pack of 1.5V AAA alkaline batteries from an IKEA store to give a quick test of these very affordably priced pack of 10 AAA batteries. Normally we end up with pretty fresh stock of batteries when we buy from an IKEA store, especially when we are talking about single-use alkaline batteries, so we do not pay that much attention to the production date. Of course when doing a test of alkaline batteries production and expiration dates are important, so we were kind of surprised to see that the pack we got was with a 08-07-2016 production date and with 5 years warranty up until 2021. This of course would mean a slightly reduced performance of these batteries in our capacity test and it also leads us to another important tip – always check the production and expiration dates when you purchase alkaline batteries and go for fresher ones if possible! The 1.5V AAA IKEA Alkalisk Alkaline batteries, even though a bit older as production dates still manage to deliver a pretty good performance in our tests, although they are nowhere near the top performers. At 812 mAh usable capacity with 0.1A constant current load the result is above average and that is good for an affordably priced pack of alkaline batteries, especially ones that are at the half of their product life even when not used. With increased discharge loads however the results re not that good, at 0.2A with 577 mAh still quite Ok, but at 0.3A and 0.5A he usable capacity we get is a bit on the lower side. 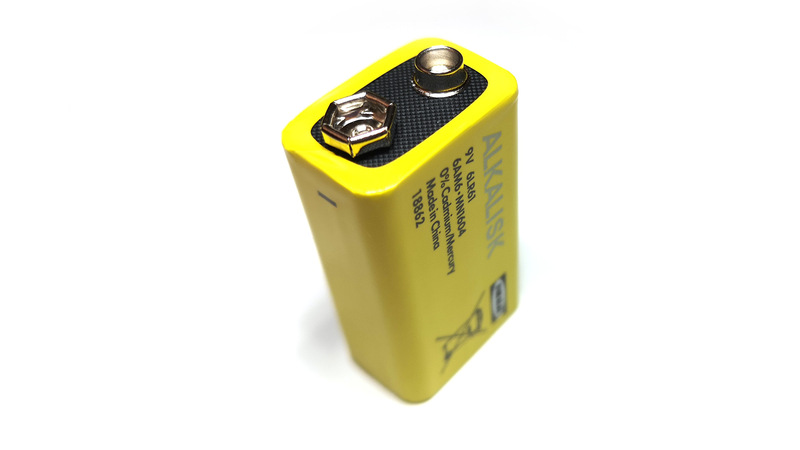 The 9V Alkalisk alkaline battery is a fresh from the IKEA store standard alkaline battery produced in mid-November 2018 with expiry date in 5 years up to the end of 2023, so we expect to see good results from this battery. 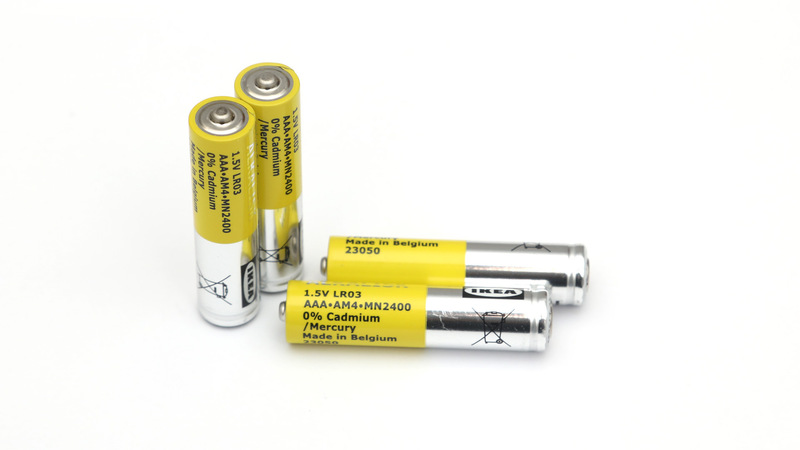 With alkaline batteries the closer to their production date they are the better capacity you can get out of them and with IKEA batteries selling out fast you can expect to get fresh ones with your visit to the store. You should still of course check the production and expiry date printed on the packaging and on the battery itself just to be sure though. 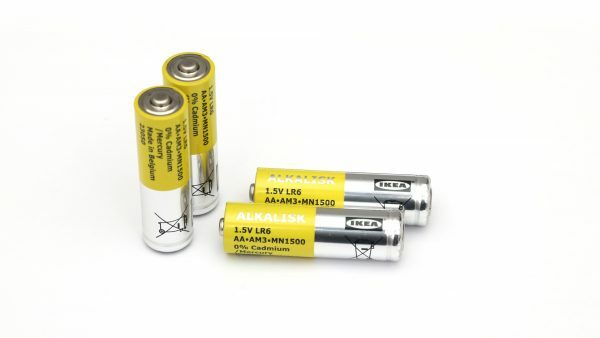 Our tests of 9V alkaline batteries are at a constant current discharge rate of 0.05A (50 milliamps) and we have managed to get surprisingly good result with 492 mAh for the 9V IKEA Alkalisk Alkaline Battery. This is the best result so far for 9V alkaline batteries we have tested so far in terms of usable capacity at our specific test conditions, so good job to IKEA with this one.